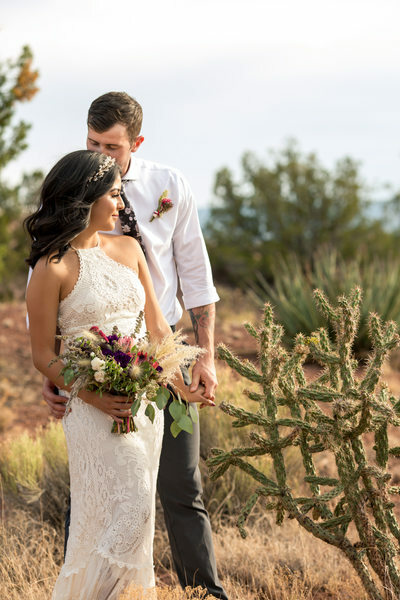 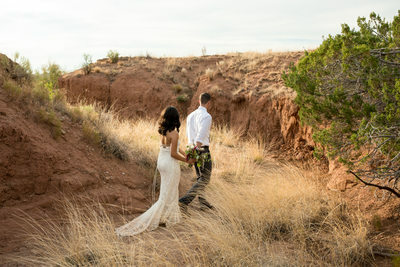 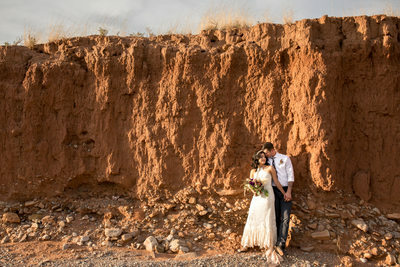 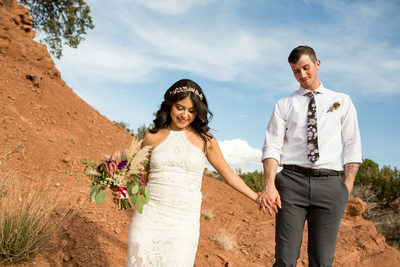 Matt and Liliana had a small and beautiful wedding elopement ceremony in the heart of the desert southwest at Desert Harbor Retreat located between Santa Fe and Albuquerque. 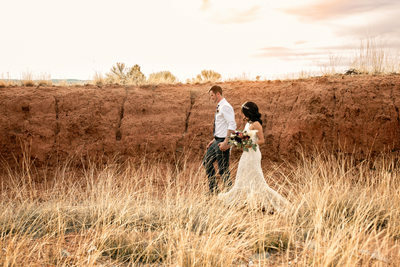 The golden sunset light provided a beautiful glow to the already stunning natural landscape. 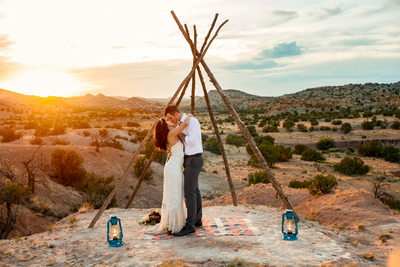 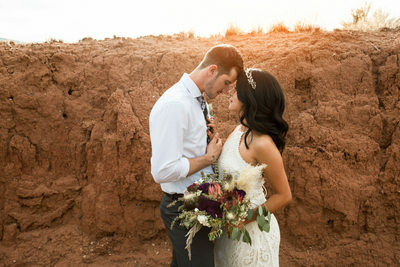 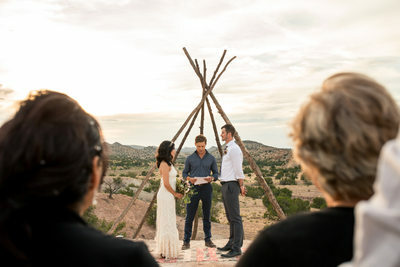 Boho decor touches like an indian rug and the frame of a teepee/tipi create modern wedding decor that matches the beauty of the desert landscape. 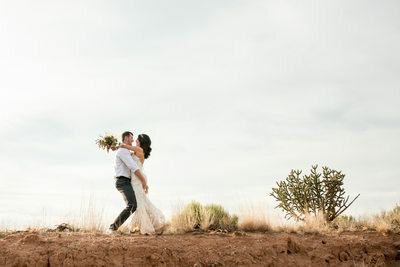 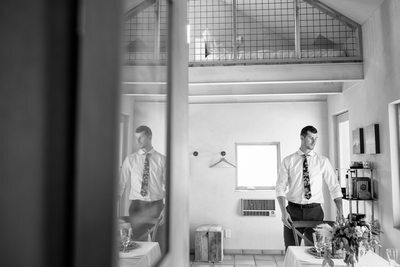 The couple got ready together in the casita at Desert Harbor, soaking in the moment and time with each other before exploring the property for a few portraits before the wedding ceremony.